I’ll be honest. I didn’t always love fitness. In fact, I was removed from high school basketball team for spending more time talking with the opposing team (in all fairness I was getting intel on boys from the other school–very important work back then) than defending the ball. I really only participated in sports to socialize with my friends (and to get the aforementioned intel). I’ve always loved the community connection of sports and the fun of trying something new but that’s where the love ended. Until I realized that fitness is about so much more than points, scores and rock hard abs. It’s about building a community of like-minded people motivating and inspiring one another to change for the better. If you’re feeling meh about fitness try one of these three tips to get motivated to hit the gym. Inspiration isn’t limited to your circle of friends. It’s global. You can find fitspiration everywhere and one of the best places to start is on social media. If you’re looking for some inspiration to get to the gym/spin class/go for a run a little motivation can go a long way. Instagram is the perfect place for a quick inspiration, be it a photo, a motivational quote or simply a tag from a friend letting know they’re going to class too. Hop on Instagram and get inspired by following your favorite motivational people, engaging with friends to get to class and then celebrating with them once you go. The more you engage (and not just passively scroll) the greater sense of community you’ll have, the more fitspiration you’ll come across and the more you’ll find yourself up and living your best life. Get started by checking out #BestLifeProject and #FuelYourBetter for major fitspiration from a community of inspirational superstars and get in on the conversation by sharing how you’re living your best life. Fitness communities can do more than inspire you to get fit. They can inspire you to try something new. 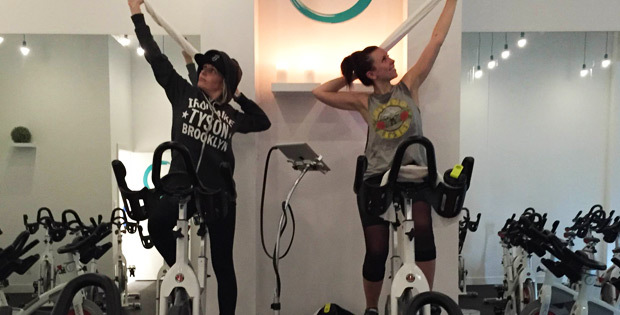 Recently, Emma Andrews, my spin partner in crime, Shannon Heth (#NoBS) and I hosted a Happy Hour Ride at a local spin studio, Spin Society. The event brought together 35+ local lifestyle leaders for a spin class (they killed it by the way) that celebrated living the best life and sharing inspiration with other like-minded people. What I loved most about this event was the people who wouldn’t usually choose to go to a spin class but came because it was something new one of their friends wanted to do (cause that’s what fitfam members do; they support one another). Why not grab a friend and check out a new class or activity? Who knows; you might enjoy it. Let the music move you and surrender to the beat. Whatever your music style is it can get you moving and make you feel good. 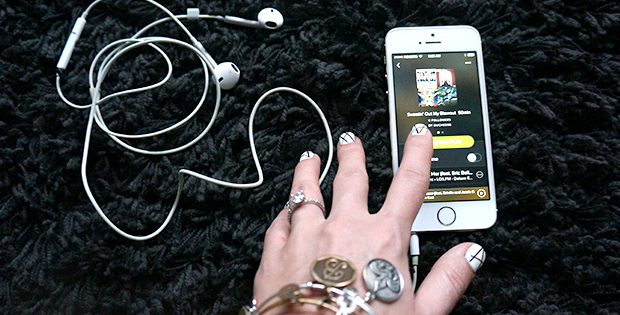 When was the last time you created a new playlist of pump up jams that motivate you? Try switching up your workout playlist to something you can’t wait to listen to. Push play when you wake up in the morning, once you’re jams come on I’m sure there’ll be no stopping you from heading out the door. Looking for inspiration? Check out this curated mixtape my fellow Vegatopians created full of jams that get them pumped up. If you’re on the hunt for new music I recommend heading on over to Spotify and click browse. While you’re there feel free to check out my “Bridgette’s Best” playlists for the music that’s currently motivating me.